radioactive isotope, a dose of radiation sickness with no cure. A microgram of it—the size of a speck of dust—is enough to kill a human. The most famous—and only proven—case of a polonium-210 murder was that of ex-Russian spy Alexander Litvinenko in 2006. Polonium was found in his tea cup—a dose 200 times higher than the lethal ingestion dose. He died in three weeks. But other cancer deaths are suspected of being caused by deliberate poisoning with polonium-210. It's also one of those awful radioactive things that could wipe out large segments of humanity if released into the drinking water or the air, so it makes for some good apocalyptic sci-fi. 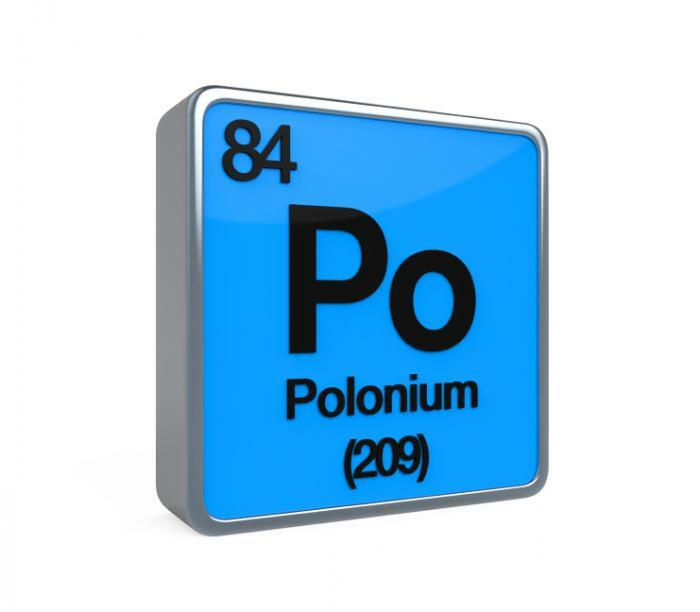 One gram of vaporized polonium can kill about 1.5 million people slowly over a couple of months. Polonium is an element discovered by Marie and Pierre Curie. It was named for her home country, Poland. Its symbol is Po and its half-life is 163 days. It decays into lead. As it decays, it emits alpha particles, which are the stuff that kills you. 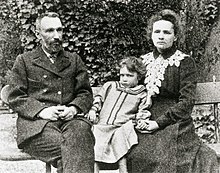 Some think the Curies' daughter Irene died of polonium poisoning caused by a lab accident, although her death took 15 years. Polonium is classified as a "group one" carcinogen—that is, it's known to cause cancer, rather than simply a suspect. In sufficient amounts, polonium can be lethal within days or weeks. Once it's absorbed into the blood, it's distributed through the body mainly in soft tissues, especially bone marrow. The symptoms are those of radiation poisoning. It first causes unexplained vomiting and gastrointestinal distress, followed by low white blood cell count due to bone marrow damage and hair loss. Different organs and tissues will slowly show radiation damage. But this wildly toxic substance is actually found everywhere in the environment. We all have low levels of polonium in our bodies—especially smokers and people who eat a lot of seafood, because tobacco plants have concentrated amounts of polonium as do some shellfish. Tobacco smoke contains concentrated polonium. Polonium itself isn't a poison. The danger comes from the radiation it emits. And the radiation isn't dangerous under normal circumstances because the radioactive particles have a very short range and they don't pass through other materials easily. They're stopped by something as thin as paper, as well as the top layer of our skin. The best hope for treating polonium poisoning, if it is a reversible case, results from prompt diagnosis. Initial gastric lavage can help if it hasn’t' been absorbed into the bloodstream, then blood and platelet transfusions. 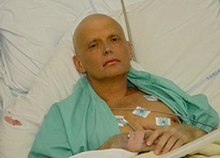 Before the Litvinenko assassination, polonium wasn't likely to be suspected as a method for murder and he was only found to have high levels of polonium-210 in his blood hours before his death, having been in hospital for several days. And even now, it's very rare, and diagnosis requires the use of special wands and detectors only found in specialized laboratories, so it's not likely a person will be diagnosed in time to prevent death. As much as polonium is headline grabbing, it won't work well in most murder mysteries. It's prohibitively expensive, for one thing. It can be found in the same ore as uranium. But to produce even a dust-speck quantity needs a nuclear reactor. So you kind of have to be a James Bond evil world-dominator with your own private evil-island world to come up with it. The polonium used to kill Mr Litvinenko would have cost “tens of millions of dollars” if bought on the open commercial market. So he's got to be a super-rich evil world-dominator, too. Are you a fan of spy thrillers? 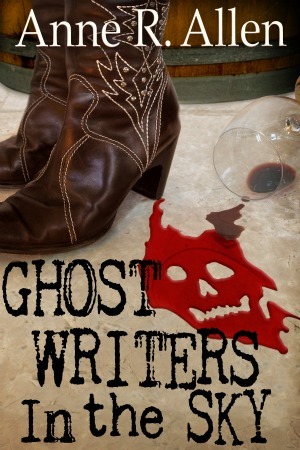 Have you read one where polonium is used as a murder weapon? Well, thank goodness that in order to produce even a dust-speck quantity of polonium-210 one would need a nuclear reactor, because this is some scary stuff! Patricia--I agree. As I get into these more modern poisons, I'm starting to get scared, too. These things are nasty on a massive scale. They're fun to read about in a James Bond fictional universe, but when real-life spies are doing this to each other, it's not entertaining anymore. It's just awful. Thank goodness there aren't that many nuclear reactors around. I am really loving this series. Truly hope you collect it up and put it out as a paperback or pdf, want to have it as a desk reference as I write.